Few artists ever have the sort of career arc that Carlos Santana has. Alongside Bob Dylan and Neil Young, the iconic guitarist has thrived as a recording artist in the 21st century, a rare feat as most of that generation’s acts either faded into obscurity or transitioned primarily to legacy status. He first became a known quantity when his San Francisco based namesake group scored with a Latin-tinged cover of jazzman Clarence “Sonny” Henry’s “Evil Ways,” which eventually rose to No. 9 on the Billboard singles charts by 1970. 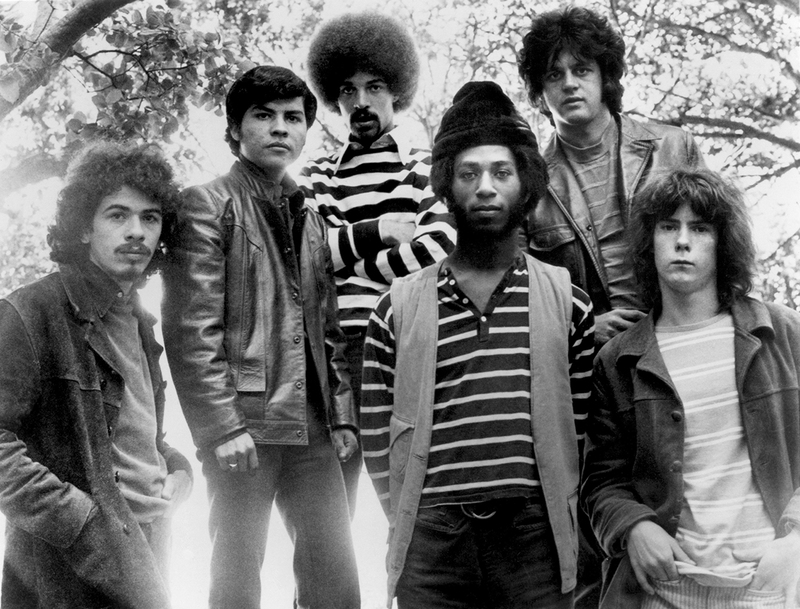 While the fairly fluid band would enjoy success with several records throughout that decade, Santana’s seemingly expected resurgence came some thirty years later as the collaborative “Maria Maria” with Wyclef Jean and “Smooth” with Matchbox 20’s Rob Thomas proved to be massive pop crossovers and Hot 100 chart toppers. While 1970’s Abraxas yielded a No. 4 hit in “Black Magic Woman” and ultimately reached quintuple-platinum status, 1999’s Supernatural did three times that, making it the only album released since that year to reach 15 million RIAA certified units. From there, Santana continued to prosper with 2002’s double-platinum and Shaman and 2005’s gold All That I Am, later releasing a successful Spanish-language album Corazon and, most recently, a well-received reunion with the group’s early 1970s lineup for Santana IV. The gulf between the discographic touchpoints of Santana‘s 1969 debut and the guest-heavy comeback album Supernatural contains a wealth of recordings arguably broader and busier than than most guitarists in rock n’ roll. Following 1971’s Santana III, he began to incorporate more jazz elements into his music, both with the band as well as on solo and collaboration records with Alice Coltrane and Mahavishnu Orchestra guitarist John McLaughlin, respectively. Santana’s embrace of the fusion sound came as genre legend Miles Davis and a number of his erstwhile bandmates were digging deeper into the prospects of this so-called electric music while running afoul of acoustic purists. Carlos Santana’s jazz legacy represents one of his most notable plays against type. 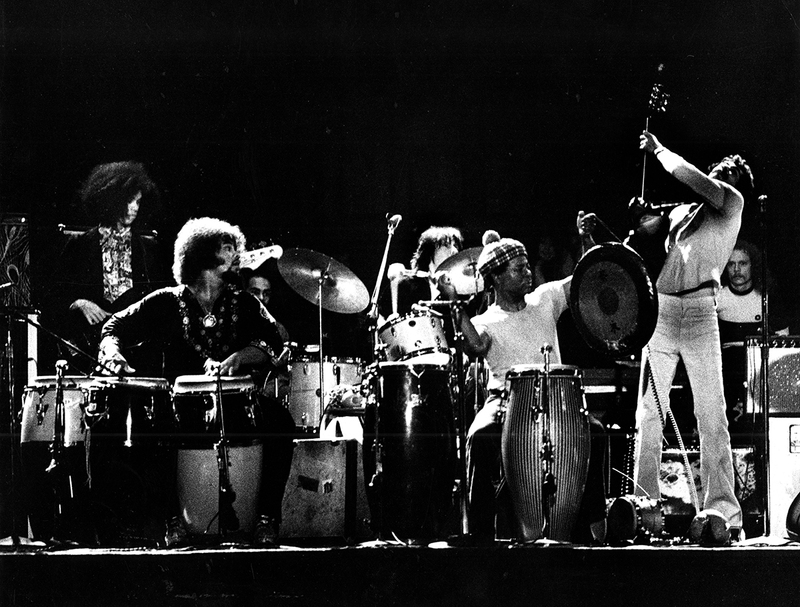 Driven by congueros and percussionists José “Chepito” Areas and Michael Carabello, his diverse group had achieved fame by leveraging Latinidad within their rock sound. 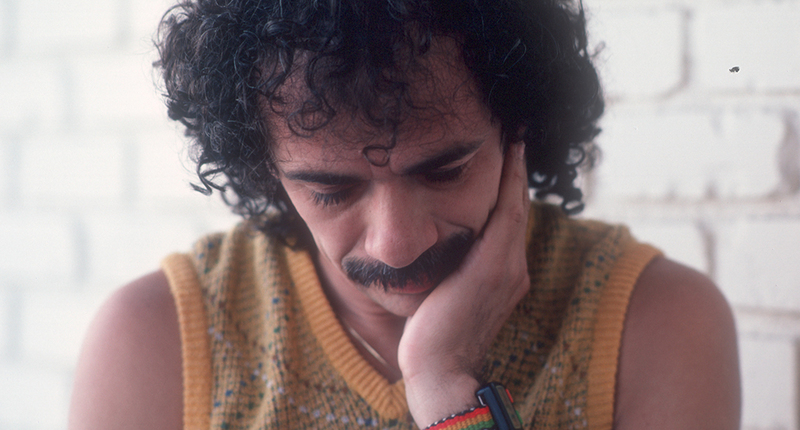 Though such rhythms played a part on Santana’s post-III albums, albeit with a lineup that swapped out Carabello for jazz veteran Armando Peraza, his insistence on exploring what his instrument could do outside of that arguably limiting framework ran against expectations. At a time when most identifiably Latinx artists stayed largely in their chosen lane, and not always by choice, Santana fully took the reigns of his band and career in this period with innovative and oft spiritual fusion albums that pushed boundaries while still going at least gold. Something shifted with 1978’s Inner Secrets. After years of operating in that elevated jazz space, Santana returned to earth, as it were, and the grounding of rock music. Of course, a great deal had changed in the years between the band’s first trilogy, particularly the rise of album-oriented rock as a radio format. Simply returning to the raw Latin rock sound that initially broke them out would appease neither the marketplace nor Carlos’ sense of musical adventure. Instead, Inner Secrets made a play for pop, a move that baffled those both who’d enjoyed the jazz journeying and those who’d opted out of it. Not unlike Santana’s earlier hits, much of Inner Secrets is comprised of other people’s songs interpreted or reinterpreted by the band. Portending a sonic divergence, urgent and near-metallic opener “Dealer / Spanish Rose” derived its first half from English rockers Traffic’s Mr. Fantasy cut from a decade prior. Transformed dramatically from the 1958 original, the Buddy Holly penned “Well All Right” turned into anthemic arena boogie with sharp lead guitar and a call-and-response chorus. That hybrid approach extended to the glossy blues of “The Facts Of Love,” the easy listening balladry of instrumental “Life Is A Lady / Holiday,” and the dancefloor thump of “One Chain (Don’t Make No Prison),” all the while leaving ample room for Carlos’ and Chris Solberg’s seamless signature solos. Naturally, jazz hadn’t completely left their repertoire, nor had the Latin undertones. The album’s exclamatory closer “Wham!” indulged in both to an extent without sacrificing the overall return to rocking form. Resisting the polished and eclectic offering, critics took a hard line against Inner Secrets. In the pages of Rolling Stone, J.C. Costa declared Santana “a slicked-down shadow of its former self,” decrying the Dennis Lambert and Brian Potter production. Robert Christgau’s critique mirrored Costa’s, suggesting that Santana was above the “shlocky” team behind Glen Campbell’s Rhinestone Cowboy. Though underappreciated and polarizing, Inner Secrets still had its share of Billboard and RIAA wins, a function of an open minded core fanbase and an industry that knew Santana was worth backing. On the singles charts, “Stormy” peaked at No. 32, his thirteenth best showing in a total of 24 appearances, while “One Chain” made it to No. 59. The album never got higher than a respectable No. 27 on the Billboard 200, though it promptly went gold. Nonetheless, it was a pop gamble that neither soared nor outright flopped, prompting Carlos and the band to continue pushing in that direction. Change wasn’t far off for Dylan or Young either. By late 1978, the former was on the cusp of his conversion to evangelical Christianity, manifesting mere months later with the gospel rock LP Slow Train Coming, while the latter was on the verge of a notorious period of questionable experimentation, one that would lead his own label to sue him. While those moves divided fans for diverging from the artists’ perceived strengths, Santana’s late 1970s shift was conversely toward the commercial while still informed by a fusion sensibility. (Deep in the thrall of guru Sri Chinmoy, Carlos kept playing and releasing solo albums of devotional music.) In the coming years, the band would continue to log minor hits, though admittedly with less overall success. Following the career nadir of 1992’s Milagro, it seemed like the group were destined for the legacy act category. Then, seven years later, Supernatural came along and changed everything. Looking back 20 years, it’s hard not to see how Inner Secrets started the process that made Santana’s eventual return to prominence possible. It may not have been the way his critics had wanted him to come back, but Carlos Santana knew what he was doing.